Martha Magenta: Dr David Kelly - Murder Or Suicide? "Doctors campaigning for a full inquest for weapons expert Dr David Kelly claim there has been a Hillsborough-style cover-up in the case as they push for a fresh investigation on the 10th anniversary of his death." 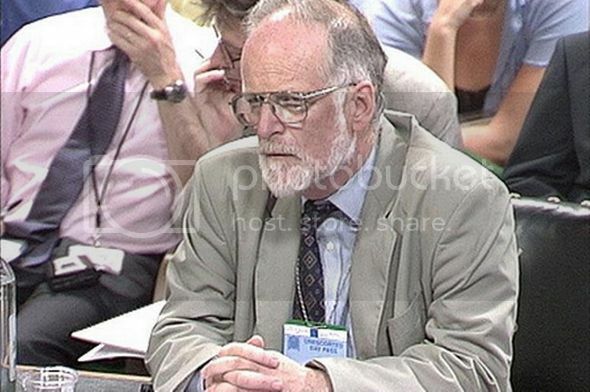 "Dr Kelly, who is believed to have died on July 17 2003 or in the early hours of the following day, was found near his Oxfordshire home shortly after he was identified as the source of a BBC report about the Government's dossier on Iraqi weapons of mass destruction." I found this film gripping to watch. It raises many questions about the legitimacy of the Iraq war, and the lies that were told to make it happen. Award-winning filmmaker Peter Kosminsky's powerful factual drama about the Iraq dossier row and the subsequent death of Dr David Kelly.